There are a lot of potential causes of financial stress in life. You can lose your job, or you can face huge medical bills due to an accident or injury. But it seems life's biggest source of financial stress may be avoidable. 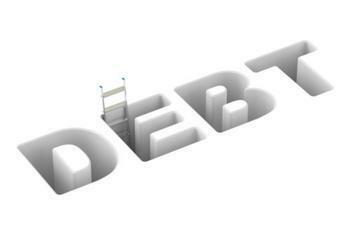 A survey by personal finance website GoBankingRates.com has found that debt, and the task of paying it off, is consumers' biggest source of financial stress. Nearly a quarter of the 7,000 consumers in the survey said debt was their biggest financial worry, followed by nearly 20% who said just paying the monthly bills stressed them out. Healthcare, taxes, and housing round out the top five sources of financial stress. When consumers worry about debt, it's likely from two sources -- student loans and credit card balances. Consumers now owe more than $1 trillion in each category. Some sources of debt offer some kind of positive trade-off. Mortgage debt puts a roof over your head. Debt on a car loan provides transportation. Student loan debt should provide the benefit of a better job and career, but many are finding an imbalance between the two, at least in the early years. Credit card debt can be among the most toxic forms of debt and not a surprising source of stress. In many cases, the debt was used to pay for things you no longer have, such as vacations or basic living expenses. Getting out of debt, despite messages from commercials on late night TV, is never easy. But most financial experts say it can be done if you take a four-pronged approach. First, conduct an analysis of your credit card debt, noting what you purchased with the debt, the interest rate you are paying, and setting a realistic target for paying it off. Next, sharpen your pencil and develop a budget. This is never fun, but getting out of debt won't happen unless you either win the lottery (and we're not suggesting you try) or accept some sacrifice. The money to pay off your debt will either have to come out of your current income, or you will need to increase your income by taking on additional work. These days, nearly everyone has a side hustle, a way to earn extra money. Use that extra money to pay down debt. Third, ask for help. Don't hesitate to call your credit card company and ask if it can lower your rate, at least temporarily. Another option is to shop for a balance transfer card that charges no interest for an introductory period. Finally, downsize by selling things you don't really need but that could generate some cash. If a yard sale raises $400, don't spend it -- make an extra $400 payment on your credit card bill.